The ring features a marquise-shaped diamond measuring 26.89 x 11.08 x 6.74 mm and weighing 11.74 carats, enhanced by triangle-shaped diamonds, one measuring 9.50 x 8.80 x 2.88 mm and weighing 1.33 carats, and one measuring 9.25 x 8.10 x 2.88 mm and weighing 1.26 carats, set in platinum. A GIA Gem Trade Laboratory report # 1122868433, dated December 3, 2010, stating Natural Fancy Light Brownish-Pink Even color, SI2 clarity, accompanies the center diamond. Gross weight 10.50 grams. 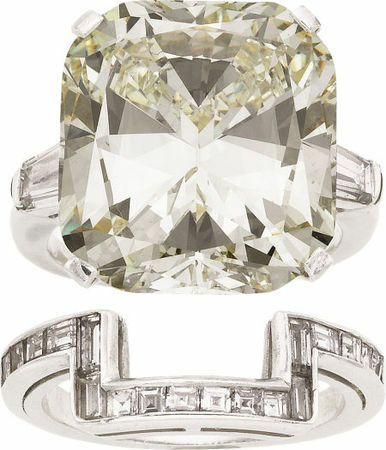 *Note: Size 3-1/2 with sizing cleats (sizeable) Estimate: $200,000 - $250,000. 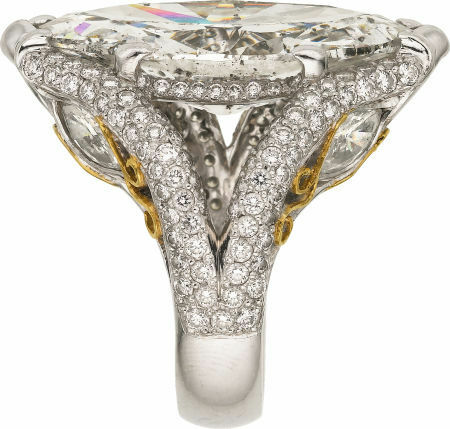 Sold for $358,500 . 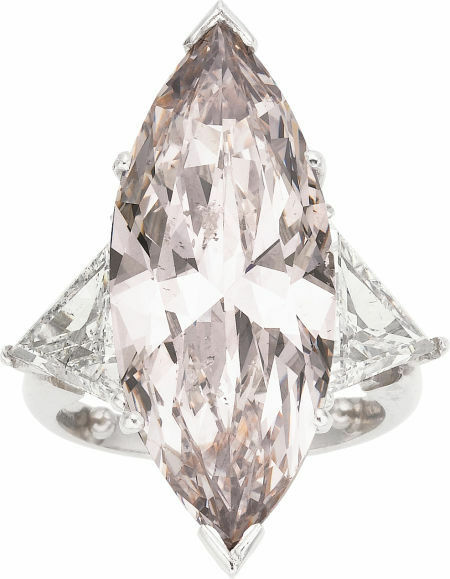 NEW YORK, NY.- A superlative Fancy Light Brownish-Pink Diamond, Diamond, Platinum Ring was the subject of intense bidding and great admiration on its way to a final price of $358,500 on Monday, May 2, to top the offerings in Heritage Auctions' $4.957+ million New York Signature(r) Fine Jewelry Auction at the Fletcher-Sinclair Mansion. All prices include 19.5% Buyer's Premium. 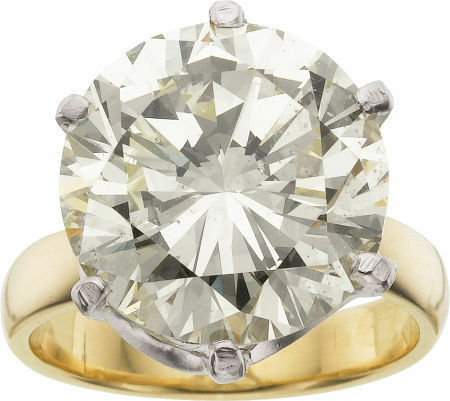 "We saw some very good prices across the board, especially on diamonds," said Jill Burgum, Director of Fine Jewelry at Heritage Auctions. "It all points positively to signs of a recovering market; our previews were well-attended from coast to coast, multiple bidding wars ensued at the event and, as a result, we saw top prices achieved." All told, 1,253 bidders vied for just under 1100 lots, translating into a 90% sell-through rate by lot value. One of the most pleasant surprises of the auction was the $65,725 price realized for a natural Padparadscha Sapphire, Diamond, Gold Ring, from the Property of the Estate of John R. Archer, which went home with an advanced bidder after several minutes of intense bidding. "Padparadscha sapphires, a pinkish-orange variety of corundum originally mined in Sri Lanka, are very rare and highly valued," said Burgum. "The name derives from the Sinhalese word for lotus blossom. 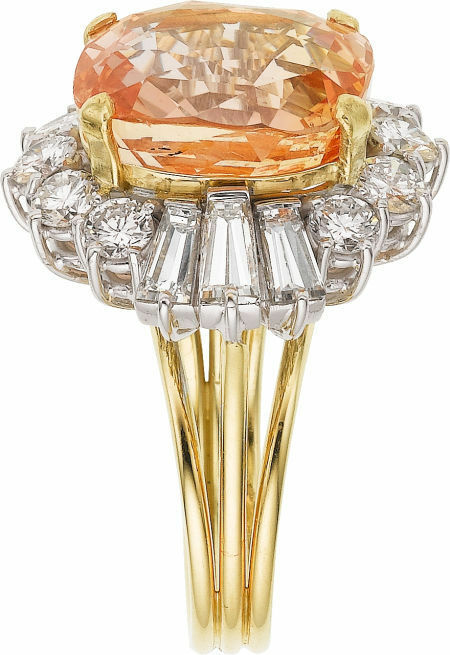 The rarest of all padparadschas, like the example in our auction, is the totally natural variety, with no sign of treatment." Note: Padparadscha sapphires are very rare and highly valued. 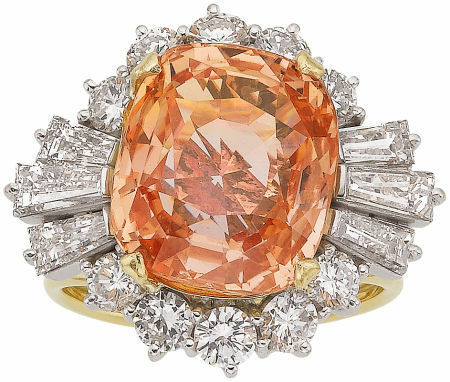 It is a pinkish-orange variety of corundum, originally mined in Sri Lanka. 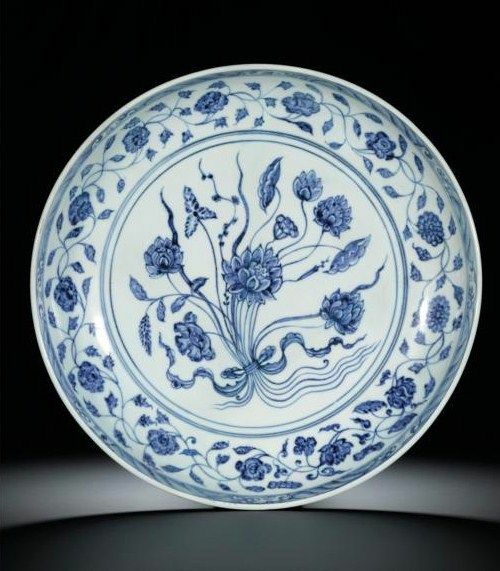 The name derives from the Sinhalese word for lotus blossom. 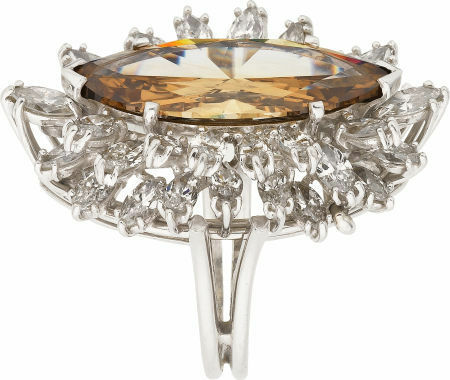 The rarest of all padparadschas is the totally natural variety, with no sign of treatment. The Property of the Estate of John R. Archer . 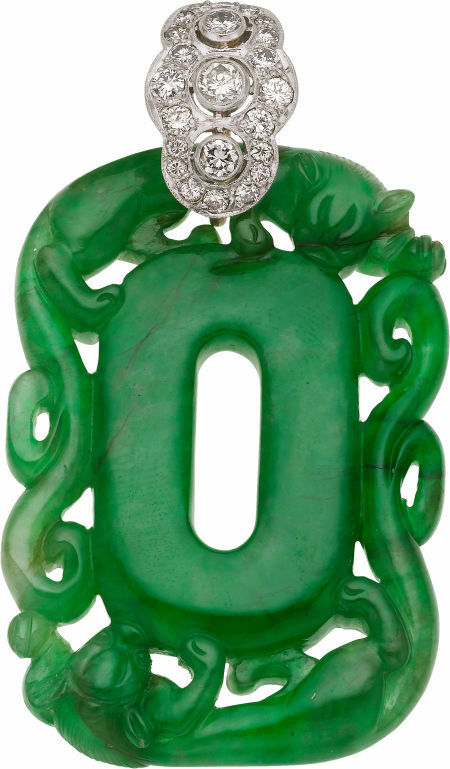 A strong grouping of Jade jewelry caused a stir with collectors in all corners of the globe, setting off several bidding wars and realizing superb prices, as evidenced by the $50,788 price realized for a dramatic Jadeite Jade, Diamond, Platinum, Gold Pendant, which brought more than seven times its pre-auction estimate of $7,000+. 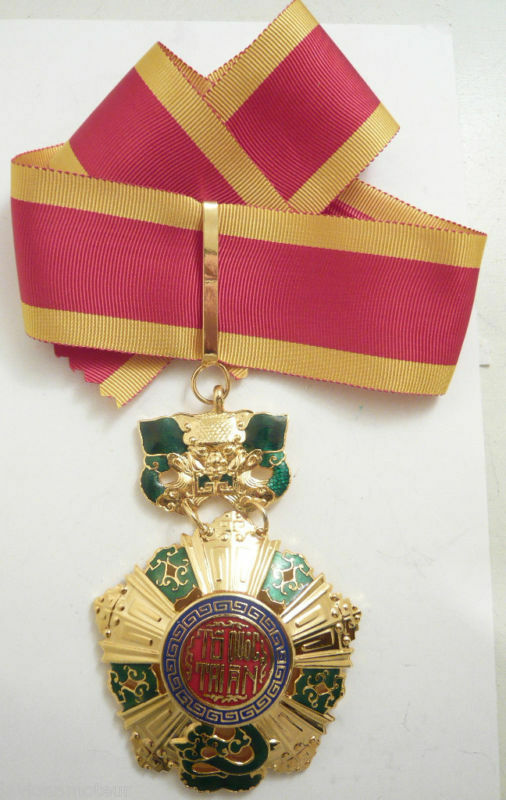 The Property of the Cecilia H. Caldwell Trust . 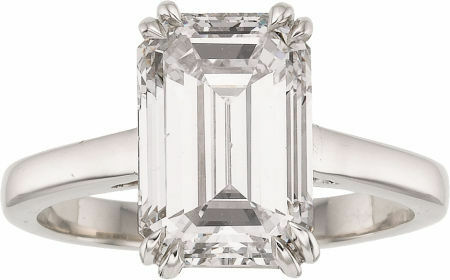 Much was made of a Diamond, Platinum Ring set from the Property of the Mary Grace Horlock Estate, and the ring did not fail to impress bidders at the auction, rising quickly in price before finishing the day at $179,250, while an Emerald Cut Diamond, Platinum Ring made waves of its own with a price realized of $119,500 and a Moyer Diamond, Platinum, Gold Ring came in at an impressive $131,450. The Property of the Mary Grace Horlock Estate . 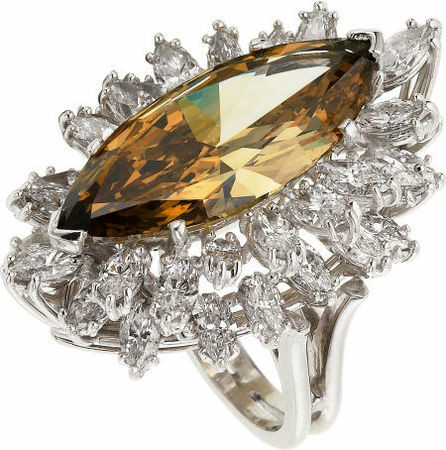 Fancy Deep Brownish-Yellow Diamond, Diamond, Platinum Ring-Dant: Realized: $101,575. 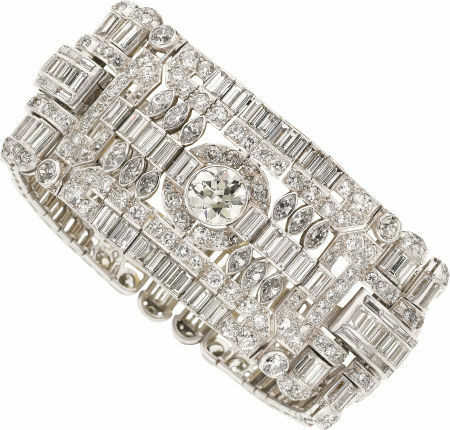 Diamond, Platinum Bracelet: Realized: $95,600. Diamond, Platinum, Gold Ring: Realized: $89,625. 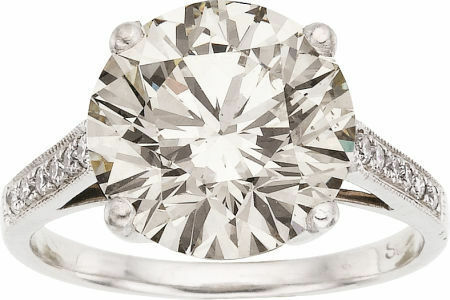 Diamond, Platinum Ring: Realized: $74,090. 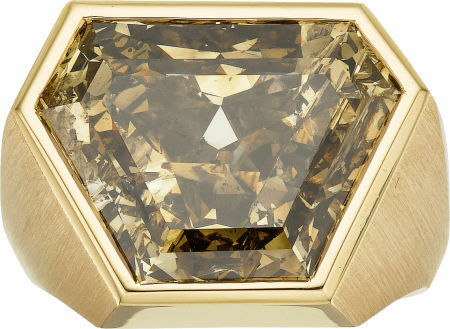 Gentleman's Colored Diamond, Gold Ring: Realized: $50,190. 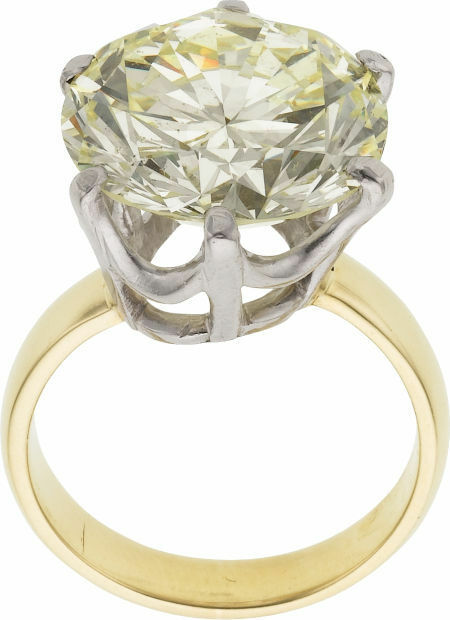 The ring features a round brilliant-cut diamond measuring 14.30 x 13.90 x 8.50 mm and weighing 10.44 carats, set in a platinum, having an 18k gold shank. Gross weight 8.75 grams. Estimate: $70,000 - $90,000. Lot sold $89,625. 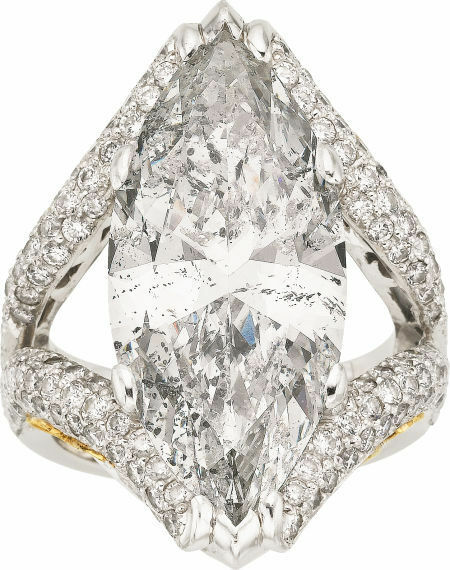 Ces diamants ont été vraiment précieux. Je ne serai jamais pourquoi ces pierres sont des coûts que cela. 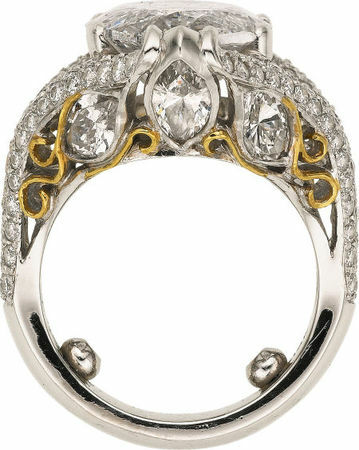 Chaque femme rêve d'avoir un de ces diamants. 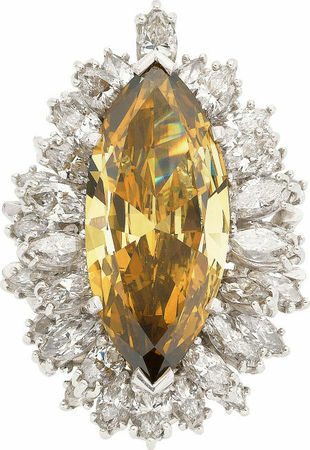 Ces photos ont été fabuleux diamant.